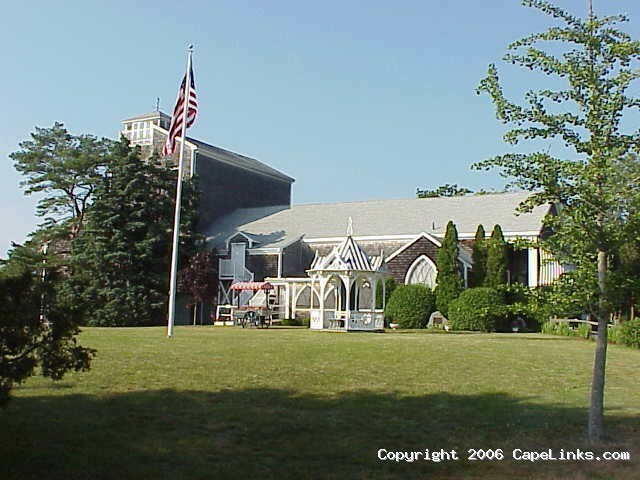 The Cape Playhouse in Dennis. The legendary Cape Playhouse has been bringing Broadway actors to Cape Cod for nearly 80 years. Often referred to as the Birthplace of the Stars, the Cape Playhouse has attracted many famous actors since its inception in 1927. Since then, the Cape Playhouse has maintained its reputation for producing quality, professional entertainment and each year thousands continue to enjoy superb shows at America’s Oldest Professional Summer Theatre. This image has been viewed 9395 times and no comments have been submitted yet. You may leave a comment about this image. You can also view more General and Cape Cod images or learn more about Cape Cod.